Amazonas 5 is a Ku- and Ka-band communications satellite for broadband and telecommunications services in Latin America. HISPASAT ordered the Amazonas 5 satellite in December 2014 from SSL. 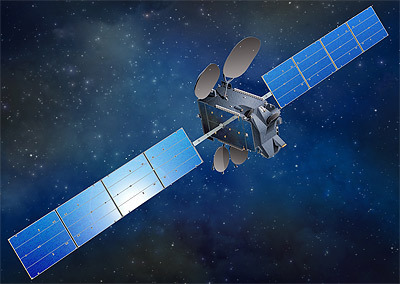 It will replace the performance loss of the Amazonas 4A satellite and also replace the cancelled Amazonas 4B satellite. The satellite will be built on SSL's SSL-1300 bus and carries 24 transponders in Ku band, directed a Brazil and the remaining Latin American countries, and 34 spot beams in Ka band distributed throughout Latin America. It is to be placed at will be located at 61° west. Launch took place in September 2017 on a Proton-M Briz-M (Ph.3) rocket.